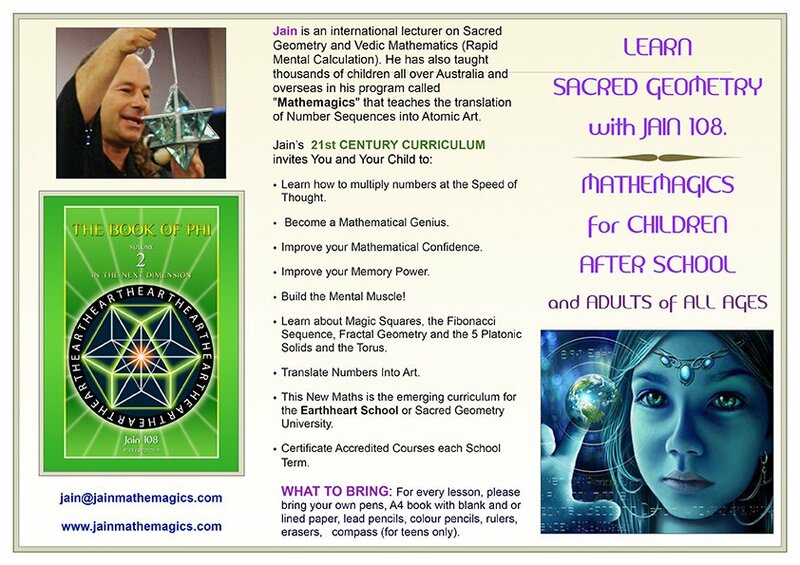 Learn how to multiply numbers at the Speed of Thought. 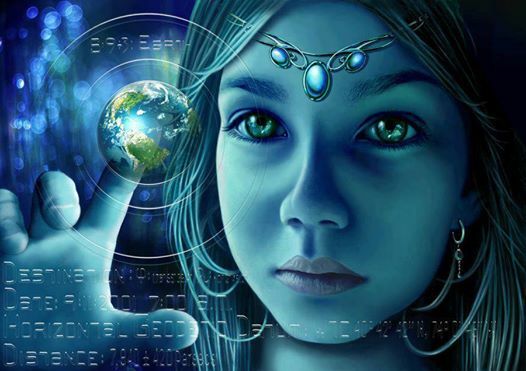 Learn about Magic Squares, the Fibonacci Sequence, Fractal Geometry and the 5 Platonic Solids. 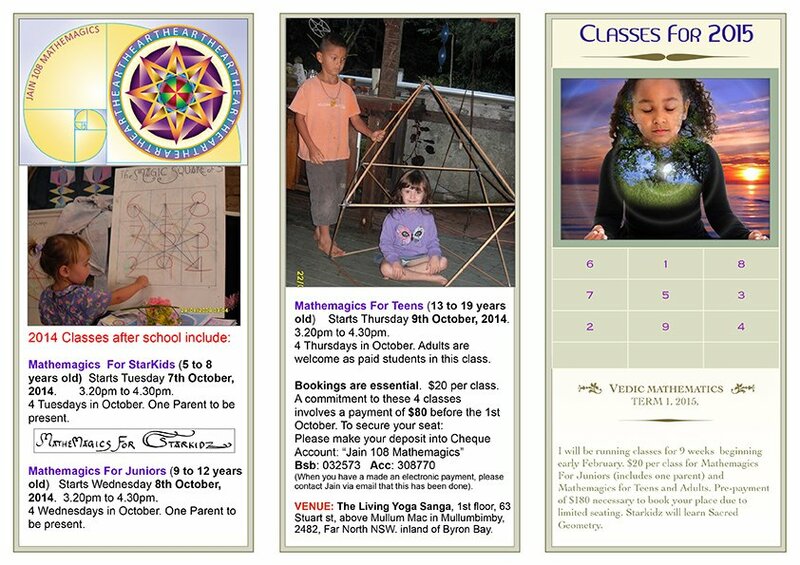 This New Maths is the emerging curriculum for the Earthheart School or Sacred Geometry University. Certificate Accredited Courses issued per School Term. Far North NSW, inland of Byron Bay). Starts Tuesday 7th October, 2014. 3.20pm to 4.30pm. 4 Tuesdays in October. One Parent to be present. Starts Wednesday 8th October, 2014. 3.20pm to 4.30pm. 4 Wednesdays in October. One Parent to be present. Starts Thursday 9th October, 2014. 3.20pm to 4.30pm. 4 Thursdays in October. Adults are welcome as paid students in this class. involves a payment of $80 before the 1st October. Book Now to Reserve Your Spot. can you please contact Jain via email that this has been done).